More than half of all Medicare patients who die do so while they are a hospice patient. It is little surprise, then, that the federal government is cracking down on perceived Medicare fraud relating to hospices. In fact, since 2006, the federal government has accused almost every for-profit hospice in the country of fraud. Hospice Care Explained. Hospice care is comfort care for the terminally ill. Medicare pays for hospice services to include medical, nursing, social, psychological, emotional and spiritual treatments intended to make a terminally ill patient as confortable as possible while remaining primarily in their home. Normally, treatment consists of palliative care that relieves pain and suffering. An interdisciplinary team plans the scope and the frequency of care. Hospice Fraud. In order for hospice care to be covered under Medicare, the patient’s doctor must certify that the patient has six months or less to live. 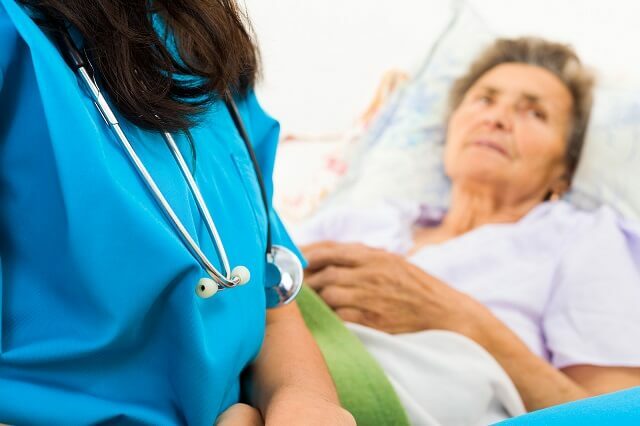 The most common type of Medicare fraud associated with hospice care are allegations that a hospice benefits were offered to a beneficiary who did not have such a certification from a physician, or that the certification was falsified. Note that there is no requirement that the patient actually dies within six months, as long as the certification of life expectancy was made in good faith. Similarly, if the patient’s health improves, he or she must be discharged from hospice; if the patient’s condition improves so that their life expectancy appears to be longer than six months, but the hospice does not discharge them, the company could be charged with fraud. Medically Unnecessary Services. A second common type of Medicare fraud involves ordering redundant and/or unnecessary equipment or medication. For example, a hospice may be accused of acquiring a new wheelchair or hospital bed for a patient who either already had such equipment or did not need it. Another example is ordering medication to treat the patient’s illness. In order to be eligible for hospice, the patient must agree not to seek medication to treat their terminal illness. Because medication to control the symptoms of the illness or to prevent pain and suffering are covered by Medicare while a patient is in hospice, there are often differences of opinion as to whether a particular medication is appropriate in a particular case. OIG Investigations. OIG has recently focused its efforts on identifying and prosecuting hospice providers and related physician practices. Many times the starting point for this type of investigation originates from data analytics that recognizes provider outliers for length of stay, cap repayments, live discharges, overuse of particular diagnosis codes and elevated levels of care. From this baseline of knowledge, OIG will issue subpoenas to further investigate medical files and other relevant documentation. OIG will also conduct interviews with employees and patient’s families in order to corroborate the Medicare data. Some of the things that OIG looks for is evidence of a bonus structure for marketers or nurses based on the number of patients or number of days a patient is kept on hospice care. OIG will also be looking for evidence of mass discharges of patients that coincide with time of care limitations as well as multiple stays on hospice care. Civil v. Criminal Charges. While the OIG has mainly been focused on civil investigations of the hospice industry this is no longer the case. OIG has increased its scrutiny of hospice providers and has recently focused on criminal prosecutions. Accordingly, instead of OIG subpoenas, the government has furthered its investigations through criminal search warrants focusing on kickbacks to physicians, illegal marketing, inadequate services, services not rendered and falsification of medical documentation. This increased level of scrutiny of the hospice industry will likely continue for years to come as OIG begins to hone its investigatory techniques and transfers its focus from civil to criminal enforcement of federal laws. This information has been prepared for informational purposes only and does not constitute legal advice. Reading of this information does not create an attorney-client relationship. Prior results do not guarantee similar future outcomes. Oberheiden, P.C. is a Texas LLP with headquarters in Dallas. Mr. Oberheiden limits his practice to federal law.